Windows Phone Store has more than 1,70,000+ apps, thanks to Microsoft for many app development programs and Windows Phone 8. The release of Windows Phone 8 brings the much-needed reputation to this Mobile operating among the smartphone users. Unlike other Mobile Operating system, Windows Phone 8 has come up with some great pre-loaded Apps like Microsoft Office, Polished Email app, Calendar App, News App, Photo App and Music Apps. In addition, you will get a more Windows Phone Apps from Phone manufacturers such as Nokia Windows Phones have some best Windows Phone Apps. If you love the Windows Phone but not switching to this platform due to the lack of Apps, now you have the plenty of Apps to choose. 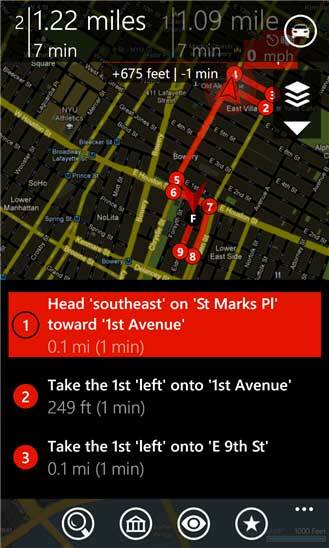 It is time to get your first Windows Phone and download our selection of best Windows Phone Apps first. Let’s see our must have Windows Phone Apps collection list. You don’t need the introduction for WhatsApp, that is a smartphone messenger for all Popular mobile platforms like Android, iOS. It is also available for Windows Phone. 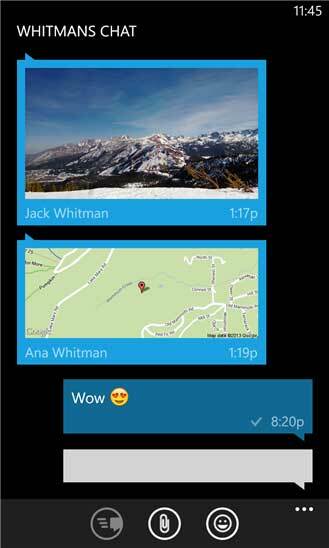 The latest version of WhatsApp for Windows phone has fixed many bugs and launched the improved App. WhatsApp uses your 3G or WiFi (when available) to message with friends and family. Switch from SMS to WhatsApp to send and receive messages, pictures, audio notes, and video messages. 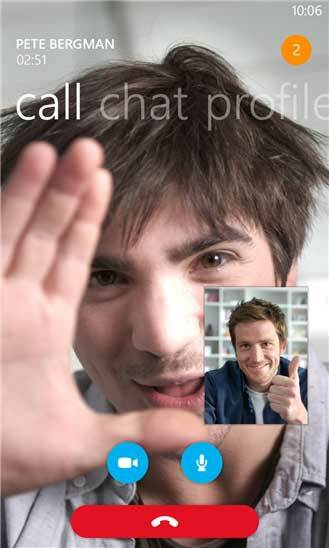 Skype is a popular video calling app that is even bigger than WhatsAapp. After Microsoft acquired the Skype, it has integrated the Skype with Windows Operating System. The Skype has the Metro Style design with flat interface. By using Skype, you can make free Skype to Skype video and voice calls as well as send instant messages to friends anywhere in the World. 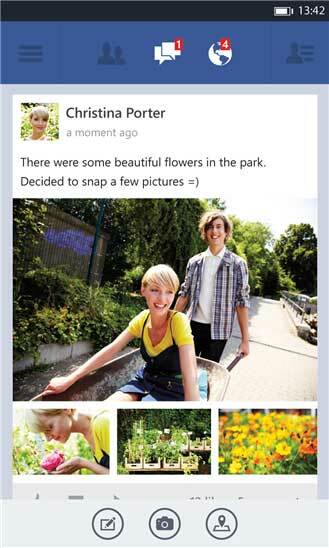 Facebook App for Windows Phone connects your Facebook Friends and Family with you always and anywhere. You can share information with your friends and post status updates, receive Live Tile updates, check your news feed, review upcoming events, check in to places, manage your inbox, upload photos, publish notes, accept friend requests, pin Places and Messages as Tiles, and look at your friends’ photos, walls and info. You can also access Facebook chat. Twitter Windows Phone app is ad free Twitter client which gives you most useful features. It includes full conversations, Multiple Twitter Accounts with a clean interface. 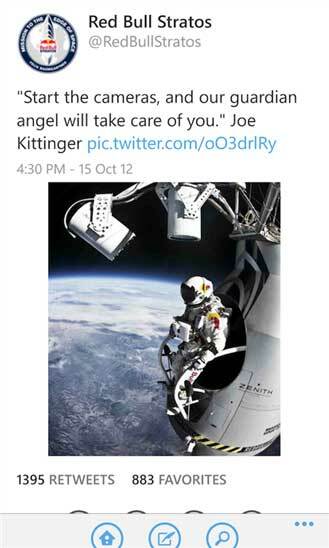 You can also include your location and photo with your Tweets with this app. The latest version includes the Translation service which helps you to translate foreign language tweets to your language. Tune-In Radio is a new way to listen to music, sports, and news from every corner of the earth, with over 70,000 radio stations and 2 million on-demand programs. By using Tune-In radio you can find and listen to your favorite artists, teams, comedians or talk hosts. You can also explore the world by listening to live radio from thousands of cities. SkyDrive is an online Cloud Storage service by Microsoft. 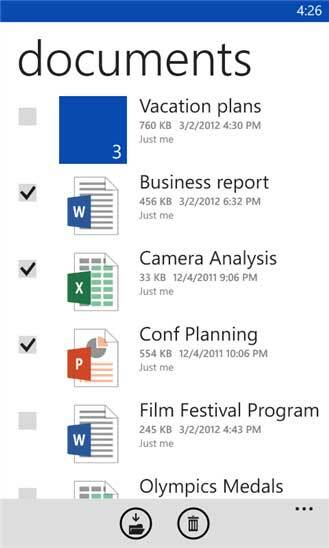 By using the SkyDrive, you can access the Docs, Excel sheets and files anywhere from your Windows Phone virtually. Store you favorite videos and memorable photos in SkyDrive and share with your friends. Yelp gives you the review based nearby social places like hotels, restaurants, cafeteria’s and more. It also provides user reviews, so you can find out the best food stores when you are in foreign countries. Netflix is the world’s leading subscription service for watching TV episodes and movies. Currently Netflix is in third place of most downloaded Windows Phone app. This Netflix mobile application is designed to deliver the best experience anywhere, anytime. You can get personalized radio based on your interests in Last.fm. It is music recommendation service that records all your favorite tunes from almost any player and adds it to last.fm profile. Based on this collection, last.fm will recommend more music to you. Wikipedia which is the best ever human compiled free Encyclopedia. It has more than 20 million articles in 280 languages. 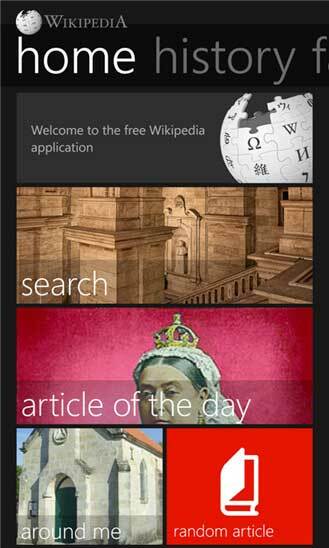 Windows Phone Wikipedia app has the NFC sharing option, Live Tiles support, Voice command and Speech recognition. This app also has offline access which allows you to view article without internet connection. 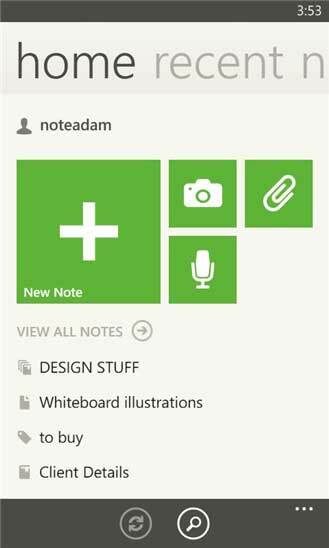 Evernote is the best and popular note taking app among the users, even after the launch of Google keep. Evernote has introduced many features and enhancements and strengthen its security after the hack attempt. From notes to ideas to snapshots to recordings, put everything into Evernote and watch as it all instantly synchronizes from your phone to the Web to your PC. ESPN ScoreCenter brings you scores, news, and standings from hundreds of sports leagues around the world. The one app will bring you all latest score details for you like Cricket, Football, Tennis and more. 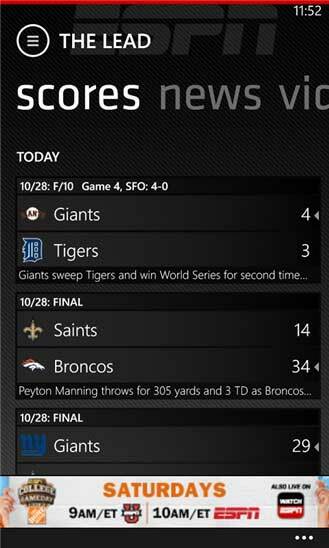 Just download this windows phone app and stay connected with your favorite team and winning moments. Find the great places and make visits with your friends by using this Foursquare client “$th & Mayor”. It has live tiles and toasts. You can pin live tiles for Places and Specials to access quickly.